Four schools in Waterbury are dismissing early. An attorney representing mechanics for a school bus company says the firm has agreed to pay $11.5 million to settle a lawsuit claiming they used unsafe buses to transport San Francisco students. 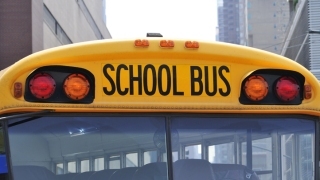 The San Francisco Chronicle reports that two mechanics with First Student Inc. claimed the company's buses had threadbare tires, worn brakes and other issues, resulting in safety violations between 2006 and 2011. Attorneys say First Student's records show 300 violations of inspection requirements over a nine-month period. The San Francisco Unified School District will received $3.5 million of the settlement. The mechanics and their attorneys will receive the rest. First Student representatives could not be reached for comment. The company replaced its 230 San Francisco buses last fall after signing a five-year contract with the school district.